It’s the New Year! Kids are going back to school, households are returning to a routine, and moms everywhere are once again thinking about restocking the pantry and making school lunches. While in Publix this week, I discovered Jif® Power Ups™, a new snack with peanuts as the first ingredient and NO corn syrup! 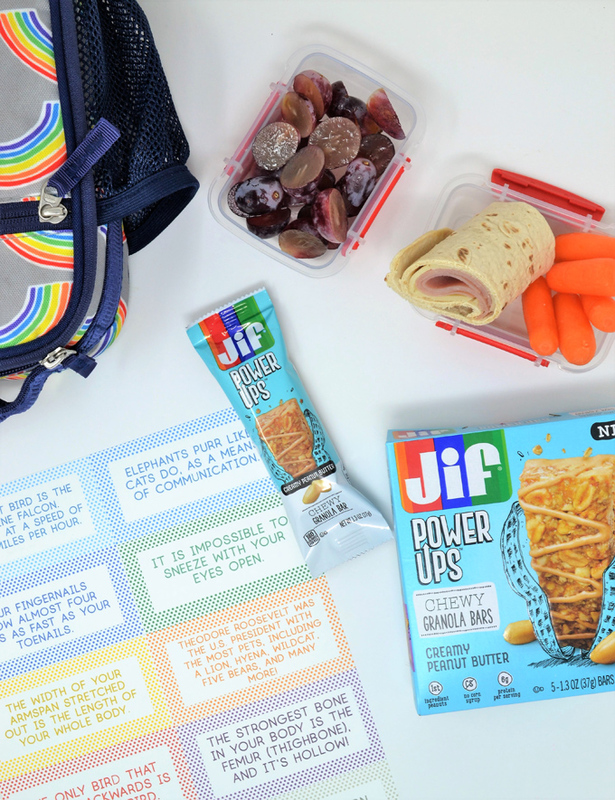 Jif Power Ups are my new go-to for on-the-go snacking, as well as a nourishing and energizing way to round out my kids’ school lunches. 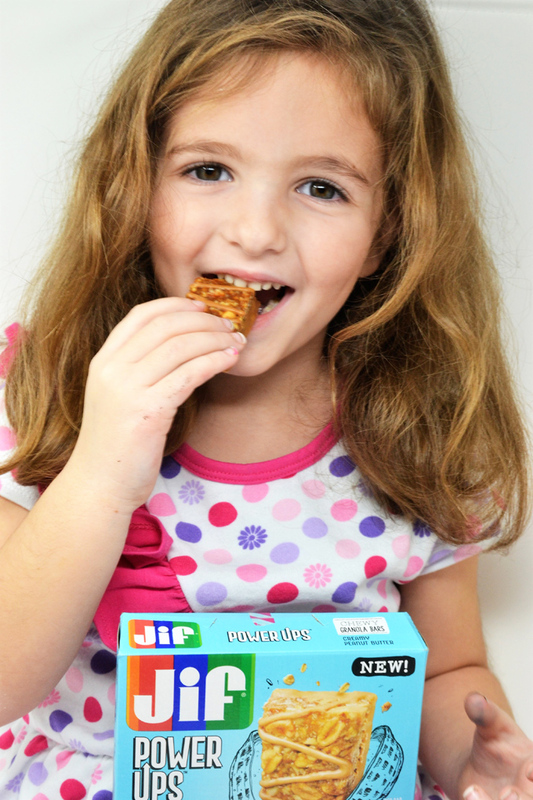 These bars come in two varieties: Jif Power Ups Creamy Clusters and Jif Power Ups Chewy Bars, and with a balance of protein, fiber and good fats, they’re appealing to both kids and parents alike! Alongside a sandwich, fruit and a veggie, they’re the perfect lunchbox addition! Want to try them for yourself? 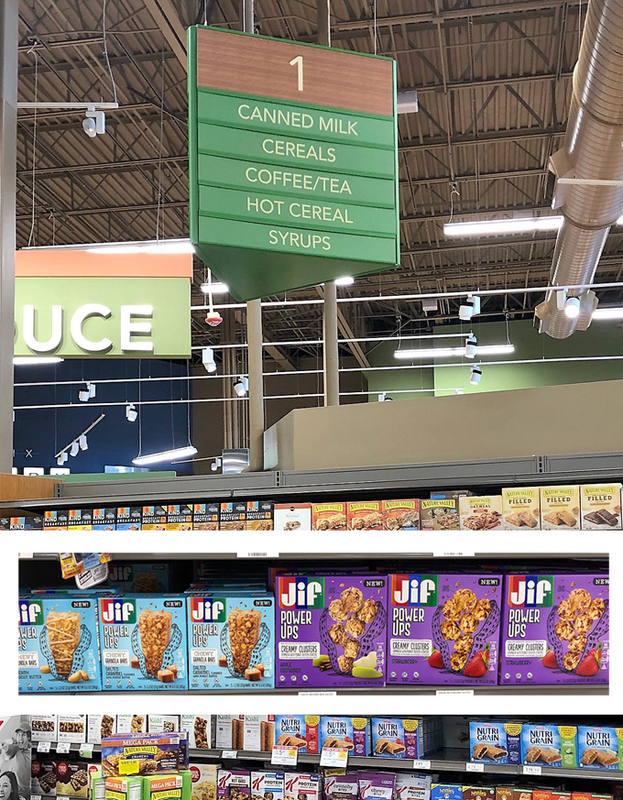 Go here to save $.75 off any one Jif Power Ups Creamy Clusters or Chewy Granola Bars (five count). 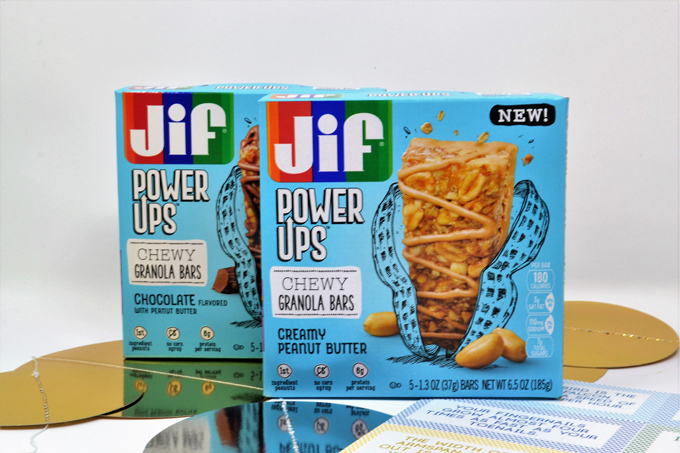 We purchased Jif Power Ups Creamy Peanut Butter Chewy Granola Bars and Jif Power Ups Chocolate with Peanut Butter Chewy Granola Bars. As you can see, we LOVED them! Another thing my kids love is fun surprises in their lunch boxes. So I put together a free printable of lunchbox facts, and I’m sharing it with you today! Click here to download these free lunchbox facts! 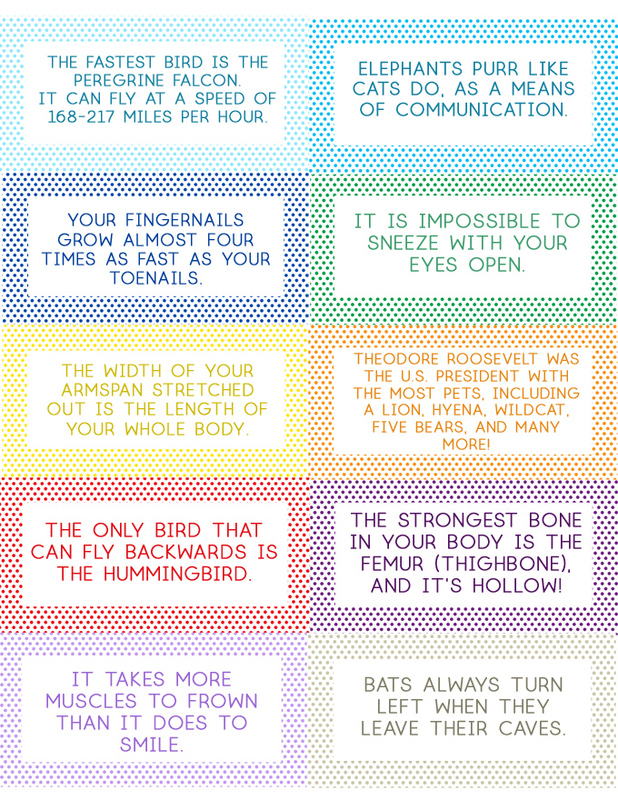 Cut out and share these fun facts with your favorite people. As I mentioned, I found Jif Power Ups conveniently at Publix in the cereal aisle. We’ve tried two of the flavors; I can’t wait to try a few more! 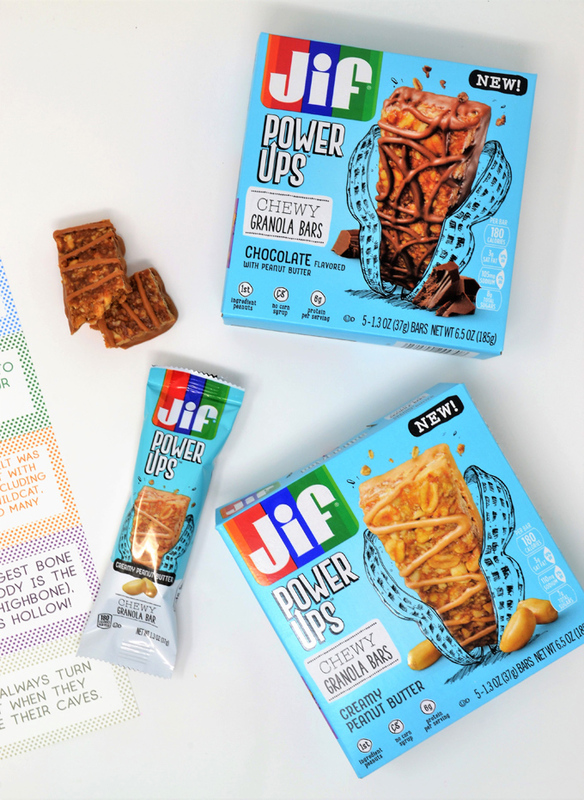 Have you tried Jif Power Ups? If so, tell me which flavor to try next! 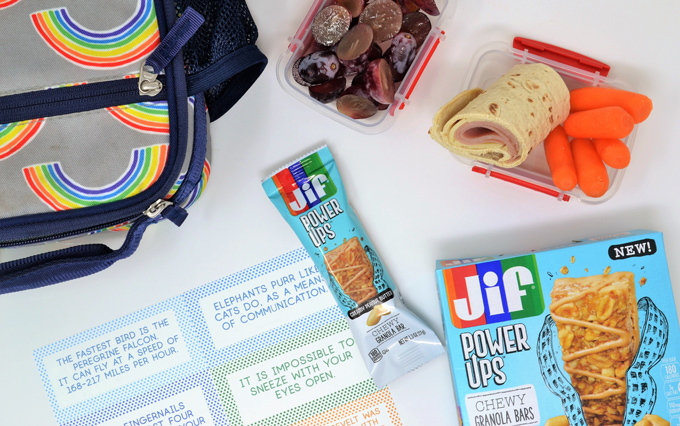 Thanks so much for reading all about making lunch easier with Jif® Power Ups™ and free lunchbox facts printable! Have a lovely day! These look absolutely delicious! I need to put some in my office drawer. My boys would love these snacks and what fun printable lunchbox facts!